Welcome to the MISS Foundation’s online support site. If you are a family member experiencing the death of a child, we extend our deepest empathy. There simply are not words to express the depth of the sorrow. We are here to share the pain and we want you to know that we will walk with you. There is so much to learn and see in the MISS Foundation website. In addition to the online support site, we also have face-to-face support groups in certain areas and HOPE Mentors available all over the world. 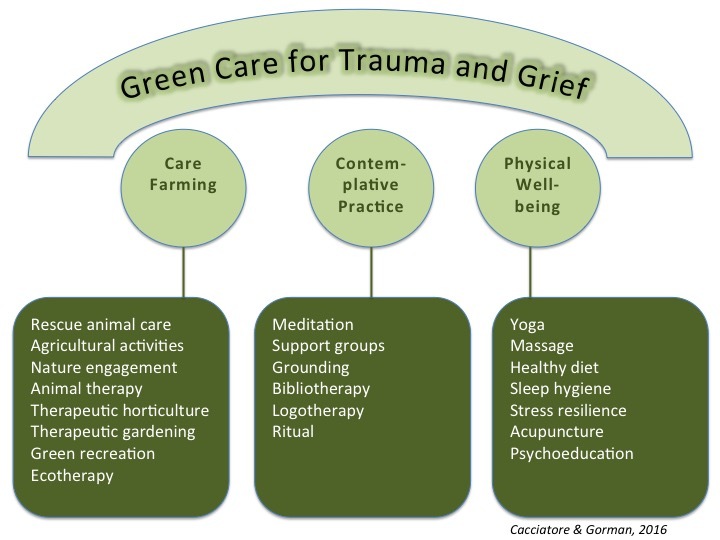 We have a network of Compassionate Bereavement Care providers who are specifically trained in traumatic grief who may be available to offer support services in your community. Our Forums offer online support group board 24/7, fully moderated for safe space. We have sections for families with specialty information for dads, grandparents, and siblings. In our professionals section, there is information on our workshops, resources, and speakers available to present in your facility about many topics relating to child death. We offer a contemplative retreat with skilled leadership that brings grieving families together each year in a beautiful and meaningful setting. And there is so much more information contained in our pages…take your time and browse. Feel free to ask questions, and know that there is no greater tragedy than the death of a child. You do not walk alone. Please contact the MISS Foundation Office for more information. Our Compassionate Bereavement Care® Providers are located in cities throughout the world. They receive specialized training in traumatic grief and compassionate care. The MISS Foundation thanks all of our sponsors and donors for their support. Kathy Decker has made another very generous donation to support MISS. We are so grateful. Thank you Origami Owl for your continued support this year! We are grateful for Zebra sponsoring the MISS Foundation with a $250 donation. We are grateful for BigRentz sponsoring the MISS Foundation with a $250 donation. Thanks to all of our donors for the MISS Foundation and to the Selah House Carefarm Fundraising Effort. Doug and KD Frueh have continued to support our programs and the Foundation’s goals. Each year the Fruehs have offered an extremely generous, targeted donation for a MISS Foundation support staff person. Arizona-based company Origami Owl offered its support this year with a very generous donation. 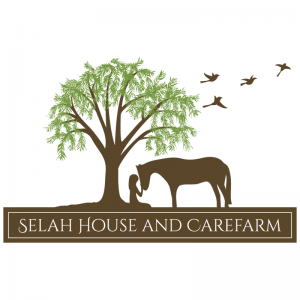 We are extremely grateful for all of the contributors to the Selah House Fundraising Campaign! The MISS Foundation thanks all of our sponsors and donors for their support. We could not do the work we do without your generous contributions. This year Doug and KD Frueh have continued to support our programs and the Foundation’s goals. Each year the Fruehs have offered an extremely generous, targeted donation for a MISS Foundation support staff person. Arizona-based company Origami Owl offered its support this year with a $17,000 donation. This contribution helped MISS offer multiple scholarships for bereaved parent to attend our annual retreat. Their donation also supports much needed programs and services throughout the year by our organization. Thank you Origami Owl! Microsoft and the Loforte Family donated $10,000 in support of the MISS Foundation and in honor of Sierra Carroll. Thank you! Special thanks to Doug and KD Frueh who continue to support our programs each year through a targeted donation for a support staff person. The Freuh’s $30,000 donation allows the MISS Foundation to continue our important work. The MISS Foundation would also like thank Sugarlands Moonshare Grant Program for the opportunity to receive a $5,000 community grant and for our matching contributor of $5,000 Carole A. Watters Fund of the Communities Foundation of Texas in memory of Madeleine May. For the sixth year in a row, the MISS Foundation received a generous donation from the Parker Ortman Memorial Fund as part of their annual golf fundraiser in memory of their son. Special thanks to Doug and KD Frueh who have offered a targeted donation again this year for a support staff person during 2014-15. Thanks to the Ortman family – Jeff, Kristina, Mckenzie and Gabriella – in memory of Parker. The Parker Ortman Memorial Fund has provided another generous donation for the fifth year in a row to support MISS Foundation Programs. Event Sponsors – Special thanks to our local sponsors in this year Kindness Walks in Tucson, Phoenix (5K), Iowa, LA and Virginia. We are deeply grateful for your support! 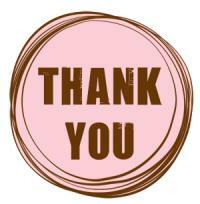 Our deepest gratitude to Doug and KD Frueh who have offered a targeted donation for a support staff person during 2013. We would like to thank the Carole A. and Michael J. Watters Family Foundation of Communities Foundation of Texas for their $5,000 donation to the MISS Foundation in honor and memory of Madeleine May. KONG Company has generously given the MISS Foundation a donation of $10,000.00 to sponsor our 2012 Conference. We want to encourage our MISS members to supportKONG, and we specifically want to acknowledge KONG President, KD Frueh, for her generous support and compassion for MISS bereaved families. Thank you! Gallagher & Kennedy P.A. Law Offices has generously given $2,500.00 to become our Gratitude Luncheon sponsor! Thank you so much! And a big thank you to Archibeque Law Firm for their $1,500 sponsorship. Phoenix Childrens Hospital Foundation – for their 10 Kids Camp sponsorships for 2012 MISS Conference! KONG Company has generously given the MISS Foundation a donation of $7,500.00 this 2011 season! We want to encourage our MISS members to support KONG, and we specifically want to acknowledge KONG President, KD Frueh, for her generous support and compassion for MISS bereaved families. Thank you! The MISS Foundation wishes to sincerely thank Jeff and Kristina Ortman, mommy and daddy to Parker Ortman, born still at term on October 24, 2009. Jeff and Kristina founded the Parker Ortman Memorial Fund – in honor of precious Parker. On October 9, 2011 they hosted the 2nd Annual Parker Ortman Memorial Golf Tournament, complete with “beef and beer” – and raised $9,000 for the MISS Foundation. Sadly, we cannot save every child, but with these funds we can make a difference, and save their families…..
We are so excited to have Raising Arizona Kids as a Friend of MISS. 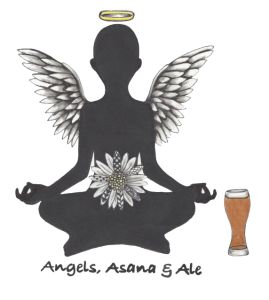 They are doing amazing work with their 2011 series of articles to raise awareness about living life in the face of grief. We cannot thank them enough for their coverage! And specifically, we’d like to thank Editor, Karen Barr, and Reporter, Mary Ann Bashaw for your enthusiasm and dedication. MISS has recieved a $500 printing sponsorship from UPrinting.com, our new printing sponsor! Many thanks from all of us at MISS especially our newsletter readers! Eminess – our first Elephant Sponsor for the Zoo Walk! Dan Lubeck – our first Giraffe Sponsor for the Zoo Walk! Jeff Jones – Elephant Sponsor – thank you! TriWest Healthcare Alliance – Elephant Sponsor – thank you! Frontier Airlines, MidFirst Bank, SaraLee, Beckett’s are offering items like airline vouchers, ez-ups for the event, food for walk and after-events! Kohl’s locations are now “Shoe Drops” — head to any Kohl’s location in the Valley & drop shoes there for donation to the Walk! And a BIG THANK YOU to Kit Blouin who has collected almost 300 pairs of shoes at her school. We hope that Channel 12’s Hero Central will be doing a story about this extraordinary young lady and her friends! KONG Company has generously given the MISS Foundation a donation of $15,000.00 this 2010 season! We want to encourage our MISS members to support KONG, and we specifically want to acknowledge KONG President, KD Frueh, for her generous support and compassion for MISS bereaved families. Thank you! Our deepest gratitude to Jeff & Lori Tieger, Daniel’s STAR, for their generous support of our organization and our families this 2010 season. We received a wonderfully helpful $14,000.00 donation from the Tieger’s in memory of their beloved son, Daniel, at an absolutely magical and much-needed time. Thank you so much, Jeff, Lori, and mostly, beautiful boy Daniel. So many thanks go out to Jeff & Kristina Ortman of the Parker Anthony Ortman Foundation for your most generous 2010 giving of a $15,000.00 donation to the MISS Foundation! Your support means so much to all of us as we continue to offer outreach to as many bereaved families as we possibly can. Without donors like you, we could not do the work we do. Thank you so much! Please note: This page is updated every month to list donation of the prior month and donation in current month up to the day list is run, so if you don’t see your donation and memorial message listed here yet, check back next month. Also, if you don’t see your donation here, but know it should be because you made it in the prior full month, please feel free to email us and we’ll get you added. Thank you again for all your generosity and giving in memory of those you love!! Sarah Matheson in memory of James Matheson, Ronan, Lauren Lovepie, E.
Anna Skylar in memory of M.M. Alicia Munoz in honor of Joanne and Chey. I love you both. Carole Aronchick in honor of Joanne Cacciatore, Happy Birthday!!! Kara Thieleman in honor of Joanne Cacciatore. Happy birthday Jojo! Karen Thompson in honor of Joanne – happy birthday! Rick and Lisa Wilcoxson in honor of Joanne’s 50th Birthday. Happy Birthday! Macie Myers in honor of Joanne Cacciatore. Happy birthday Dr C.
Wish I could give more to this amazing woman and amazing foundation. Mary Ellen Snyder in honor of Dr Joanne – Happy Birthday! Nicole Stout and Family in memory of Stephen Holden Stout, our son. Terri Waibel and the Waibel Family in honor of Cheyenne’s mama on her birthday. Tierra Leonard in honor of The Wonderful Joanne Cacciatore. Yasaman Parsi in honor of Joanne Joon’s 50th Birthday. Susan Quinn in memory of Brian, forever in my heart. Kristina Munoz, Jamberry Independent Consultant in memory of Holly Heath, Melissa Flint, Michele Newton and the babies they will forever miss. Andy and Ginger Liu in memory of C.S.L. Audra Perea in memory of Joshua Isaiah Cook, Jr.
Susan Quinn, Mom and Dad in memory of Brian, reunited now with his grandopop. Nicole Wyant in memory of Joy Davis, Happy 5th Birthday in Heaven Kathlyn Joy Davis! 7.30.09 Never Forgotten. Susan Quinn, Mom and dad in memory of Brian, Brian, loving you, missing you, june 13…… The day you entered this world, faraway, destined to be ours…. Carole Aronchick, Dave and Evan, In loving memory of your Dad. Caitlin Degnan, In memory of Ryan William Barberio: In loving memory of Ryan William Barberio, who would be 2 years old this month. Not a day goes by that we dont think of you and miss you. Happy Birthday in heaven, sweet boy. who died in the Holocaust who we think of today on Passover. Elyse Feingold, in memory of Leo Feingold, In memory of your beloved son, Leo on his first Yahrseit. Amanda Meiklejohn, in memory of Brayden Carl Davis and Brendan Calvin Graber, two angels born asleep. Contributions by Spin Class from Studio BA, Pratt KS in honor of Child & Infant Death Awareness Month. Christopher & Lori Rohling, in memory of Brayden Carl Davis and Brendan Calvin Graber two angels born asleep. Contributions by Spin Class from Studio BA, Pratt KS in honor of Child & Infant Death Awareness Month. Clara Oak, in memory of Brayden Carl Davis and Brendan Calvin Graber, two angels born asleep. Contributions by Spin Class from Studio BA, Pratt KS in honor of Child & Infant Death Awareness Month. Lauren Jones, Mommy, Daddy and Jeremy in memory of ColeTimothy, Thanks to Jordanna C.